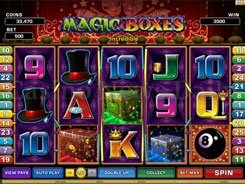 The classic Big Top slot machine is crafted with five reels and nine paylines. 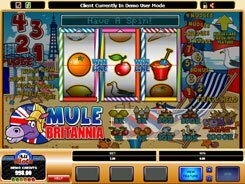 It has a funny circus theme flooded with circus attributes and characters, including clowns, trained seals, lions, monkeys and elephants. 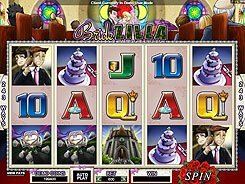 In the slot machine, you will see standard controls enabling you to set up the number of coins per spin. Use “plus” and “minus” buttons to adjust a coin denomination starting from $0.25 up to $5. 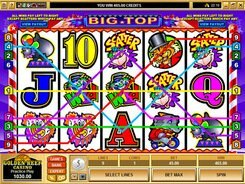 The top bet equals $45, and the highest jackpot payout is a whopping 5000 coins awarded for five clowns on a payline. 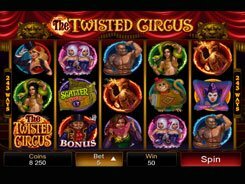 The clown serves as a wild symbol standing for other icons to complete winning combos. 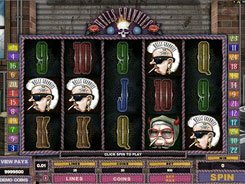 A playful monkey goes for a scatter symbol, with three, four or five of them scattered anywhere awarding your spin bet times x2, x10 or x50, respectively. 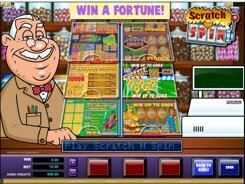 This classic machine lacks bonus rounds and free spins, still this is a must play for any classic slot enthusiasts and penny slotters.